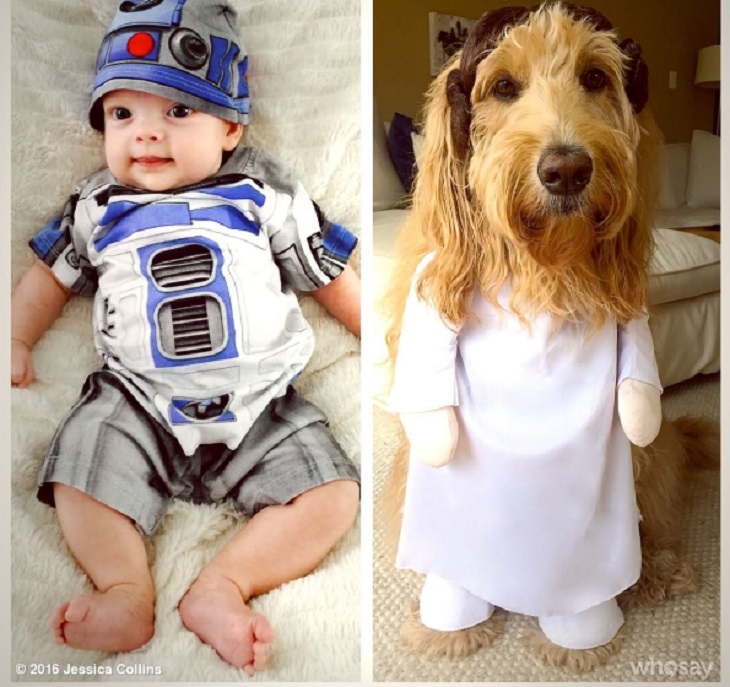 ‘The Young and the Restless’ alum Jessica Collins [Avery Bailey Clark] dressed her adorable daughter Jemma up for ‘May the 4th Be With You’ Day and shared the photo with fans. The Daytime Emmy winner for Outstanding Supporting Actress dressed baby Jemma as R2D2. Jessica also dressed her cuter than cute pooch up for the big day. Captioning the photos, “My girls. #MayThe4thBeWithYou” Jessica’s dog is dressed as Princess Leia. It’s been a big year for Jessica Collins! She welcomed Jemma Kate Collins Cooney on January 23. She celebrated UK Mother’s Day, she won a Daytime Emmy for her work on ‘The Young and the Restless,’ she’s celebrating ‘May the 4th Be with You ‘ Day and she gets to celebrate Mother’s Day all over again on Sunday, May 8. Congratulations to Jessica – and her husband Michael Cooney. ‘May The 4th Be With You Day’: How did ‘B&B’ Pierson Fode ‘GH’ Nicolas Bechtel and ‘DOOL’ Alison Sweeney Celebrate?